Against the wishes of Vancouver Park Board, 4/20 goes will once again toke up at Sunset Beach this Friday. Against the wishes of the Vancouver Park Board, 4/20 goers will once again toke up at Sunset Beach this Friday. The Vancouver Park Board said the event violates its no-smoking bylaws and "has negative consequences for park users and infrastructure." Last year, the Park Board had to close off the grass field at Sunset Beach for a month, so it could make repairs to the damaged field. Event organizers say they're taking steps to ensure the field doesn't get trashed this year. "We've spent $20,000 on some special turf protecting material," said Dana Larsen. "And I'm really going to anticipate that the park won't have to be closed after our 4/20 event this year." 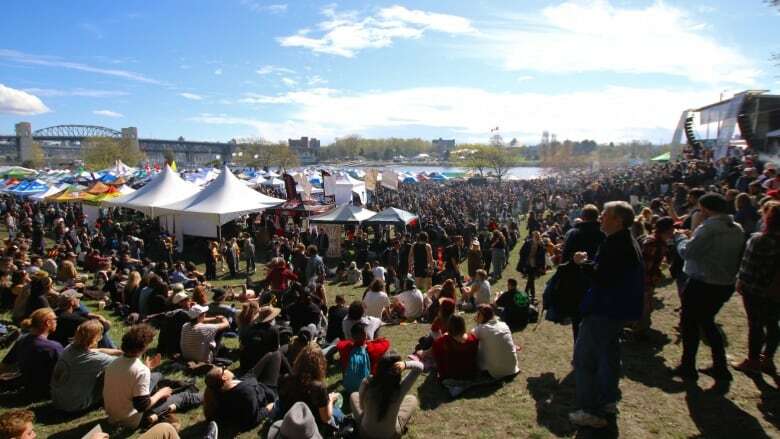 The City of Vancouver said it incurred $245,379 in costs last year relating to two 4/20 events. Larsen said they've increased spaces and fees for vendors, so they will consider picking up part of the tab after this year's event. "I don't want to make a promise we will cover any costs until I know what kind of bill they're going to give us," he said. Despite the event being unsanctioned, the Vancouver Police Department said its focus is on ensuring public safety and not necessarily confiscating any marijuana. "We have to weigh the public's right for free speech with public safety and how that looks will be up to each individual officer at the time," said Sgt. Jason Robillard with the VPD. In addition to ensuring public safety, Robillard said, their focus is to make sure vendors aren't selling cannabis to minors. The Park Board said park rangers have gone around handing out leaflets to residents to give them a heads up that there will be a significant crowd, traffic congestion and potential health concerns for those sensitive to smoke. Similarly to last year, the Sunset concession stand and the Vancouver Aquatic Centre will be closed on the day. The aquatic centre will also be closed on the 19th for electrical upgrades to the facility. The board said it will continue to work with the organizers and the City of Vancouver to find an alternative location for the event in the future.